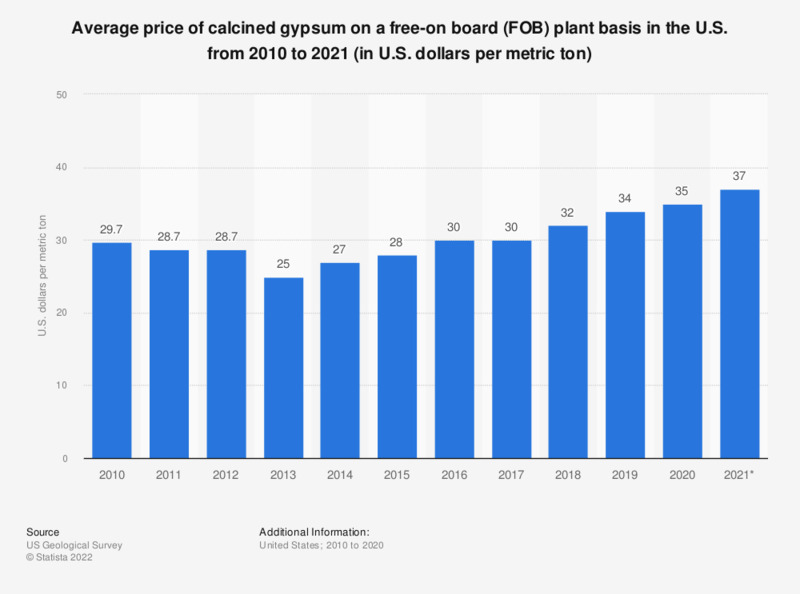 The statistic shows the average price of calcined gypsum on a free-on board (FOB) plant basis in the United States between 2007 and 2018. In 2018, the average FOB plant price for this construction material was around 31 US dollars per metric ton. The figures for 2007-2013 are taken from previous publications of the summary. The figure for 2018 is an estimate.